Ah yes, the Puritans. They were around when America was just gaining an origin story. People tend to have Colonial America on their mind around Thanksgiving time. They like to discuss the Puritans and the Pilgrims, so why not take another look at some of the interesting names they used to use. The Art of Naming has covered Colonial Names several times. Not only the virtuous names like Hope, Grace and Faith, but also the more uncommon choices like Charity, Prudence, Prosper and Resolved. We also looked at names drawn from the bible like Lydia and Levi since these were common then and now. Today, we're going to look at a list of names that most people would agree are unusual and rather unpractical for use today. 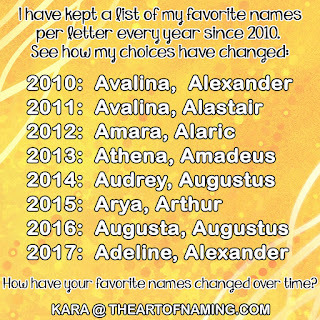 There's no need to explain these since they're quite straight forward, but yes, these were actually given to people as names back in the day. Are there any that strike you as a guilty pleasure? 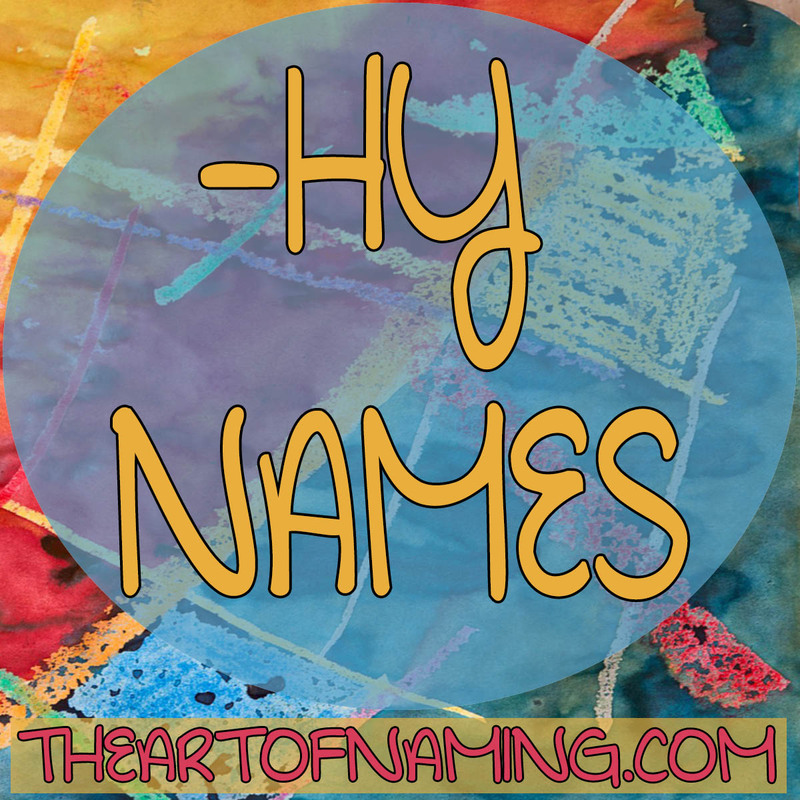 Taken from our article about names ending with the letters "-hy", we found the name Dorothy. 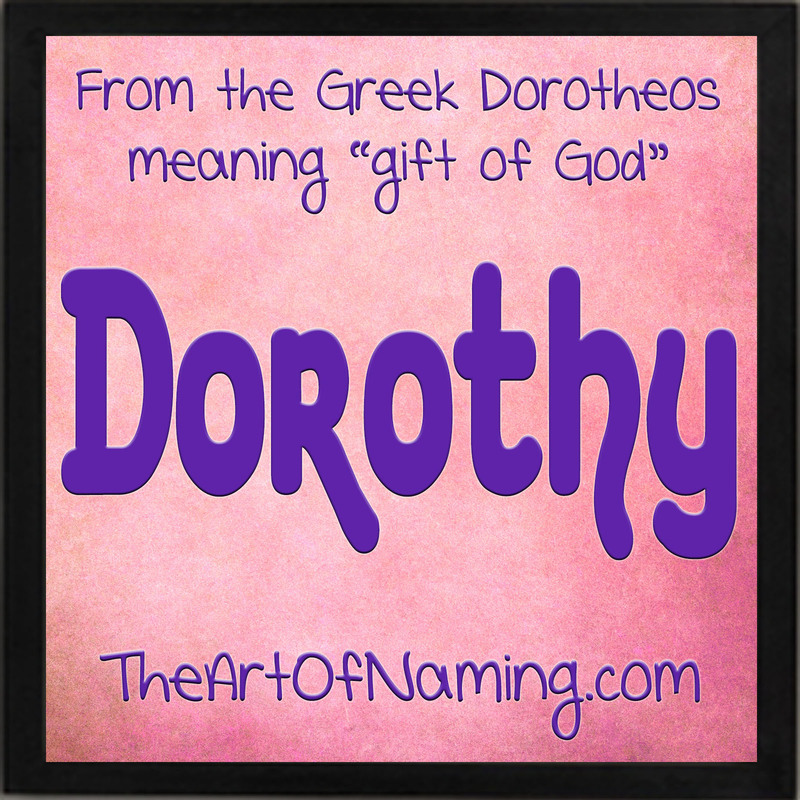 Dorothy is a form of Dorothea which comes from the Late Greek name Δωροθεος (Dorotheos) meaning "gift of God". Dorotheos is pulled from the Greek words δωρον (doron) meaning "gift" and θεος (theos) meaning "god". Interestingly, the names Theodora and Theodore (and their variants) also come from theos and doron, but their direct Greek origin name (Theodoros) is a little different: Θεοδωρος. However, all of these names do share a meaning. Perhaps the most well-known Dorothy comes from literature and film. In 1900, an author by the name of L. Frank Baum published a little fantasy novel called "The Wonderful Wizard of Oz" featuring a young girl named Dorothy as the main character. Portrayed by actress Judy Garland in the 1939 film, Dorothy has become a classic and iconic character in pop culture. You don't meet all that many "young Dorothys" these days. However, that could be changing in the next decade or two since this name is starting to trend upward. That would make this name a vintage choice that would fit in with the 100 year rule. Dorothy was huge in the 1920s. She climbed the charts quickly back then, joining the Top 100 in 1890, the Top 10 in 1904 and ranking at #2 from 1920-1927. Just as quickly, though, she left the Top 10 by 1940 and the Top 100 by 1962. She didn't rank within the Top 1000 for most of the 2000s, but the tide is turning in her favor now. She's back on the charts at #714 as of 2015 with 395 births. Since it has almost been 100 years since her first heyday, do you think Dorothy will regain popularity as a "fresh-sounding" name again through the 2020s-2030s? I kept the styles similar to Dorothy, but there are plenty of more modern names that could also work. What would you pair with Dorothy? Do you know anyone with this name? If so, how old are they? 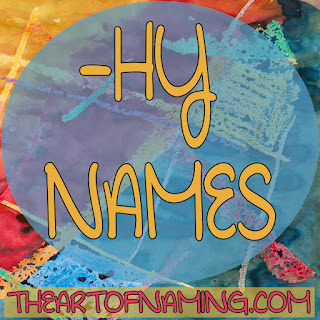 Names Ending with the Letters "-hy"
This series takes a closer look at a very limited set of names. If you're searching for a particular sound or spelling at the end of the name, this series may be for you. We've already considered names ending with -ay, -by, -cy, -dy, -ey, -fy, and -gy. All of these posts can be found here. The only names that I could find ending with "-iy" are Andriy, Arkadiy, Arseniy, Bryliy, Dmitriy and Yuriy. I didn't find them common enough or appealing enough to earn their own post. We'll skip ahead to "-hy" names since there's a few more options available. Would you ever use one of these? Which is your favorite?